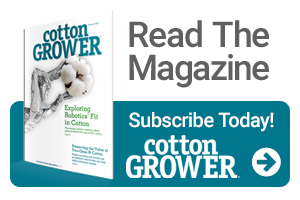 Texas cotton is in a varied state of production, but one thing is common for most producers, especially dryland growers, rain is needed to improve soil moisture levels, said Texas A&M AgriLife Extension Service experts. 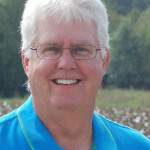 Dr. Seth Byrd, AgriLife Extension agronomist, Lubbock, said cotton producers around the state experienced favorable weather patterns last year, but there is some concern 2017 could be problematic, especially for dryland producers. Some cotton fields are yet to be planted, while others are flowering, according to regional reports. Dr. John Nielsen-Gammon, state climatologist, College Station, said long-term forecasts show conditions could be drier and warmer than normal and many areas in the state are relatively dry for this time of year. Byrd said cotton acres in the region will rise as producers switch from corn and sorghum for a more favorable market option. Cotton is also a more drought tolerant planting option. Regional cotton fields are about 50% dryland and 50% irrigated, though additional irrigated acreage in the northern part of the region historically dedicated to corn and sorghum will be planted in cotton, he said. Conditions were good two weeks ago, he said, so some producers took advantage and planted. But soil moisture levels, especially the first three inches of topsoil, dried significantly due to high temperatures and windy conditions in the region, he said. The region has not received rain in almost two weeks, though some was expected. Most fields were planted in February and March and were already flowering and looked okay for now, he said. McGinty said the past few years were easy, as fields received adequate rain and required little to no irrigation and faced few pest and disease issues. This year, the soil profile was not as accommodating, and producers’ decision to stick with cotton rather than rotate to corn or sorghum led to an increase in disease pressure, including nematodes, which are atypical for the region. McGinty said producers in the Rio Grande Valley were irrigating heavily this year due to arid, windy conditions, but the water is salty and of poor quality. A good rain is needed to improve soil moisture levels and flush the salt out of fields.